Injected rubber which means that there are no seams or other rigid materials in the upper part of the shoe.Providing lightness, comfort, increased flexibility and better adjustment to the foot.Its thickness is variable depending on the protection and resistance required by each area. 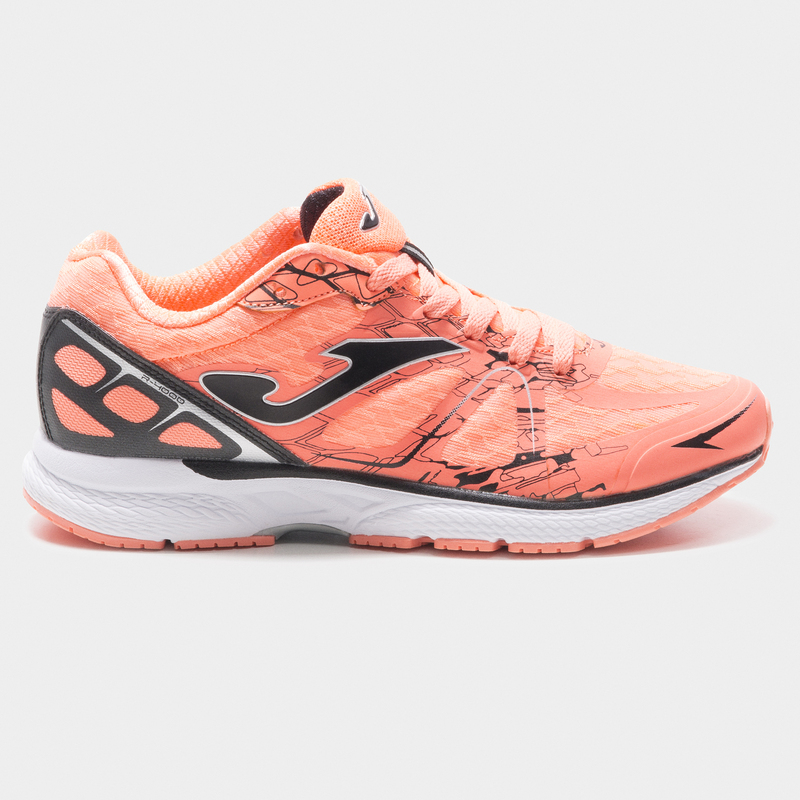 An updated style which we've add more cushioning to, in order to create a real high flier. 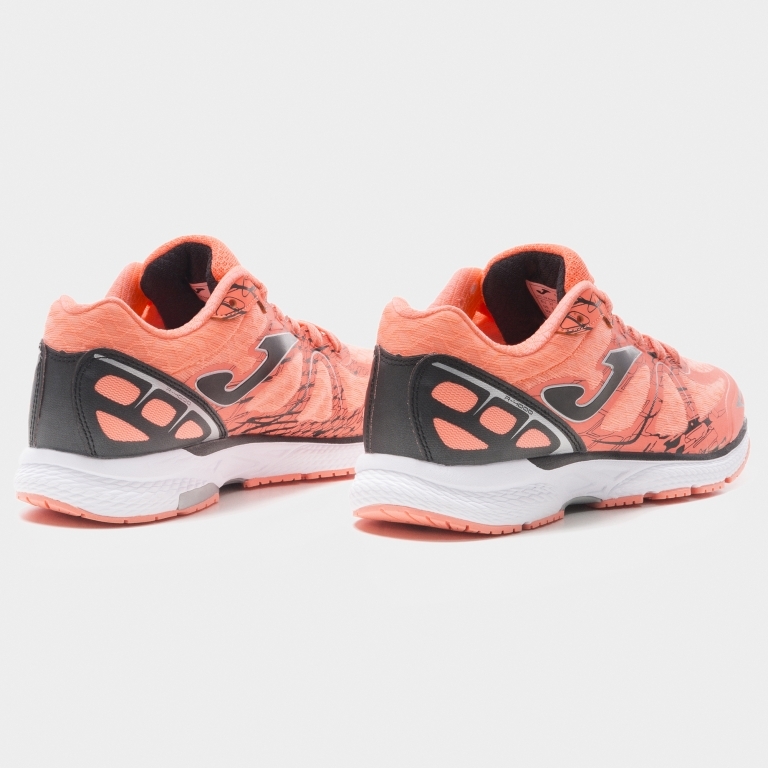 Geared towards long distances, especially designed for marathons. Lightweight body. DROP: 8. 241g. The exterior is made of nylon with TPU inserts for a more resilient upper. FOAM interior to fit better to the ankle. 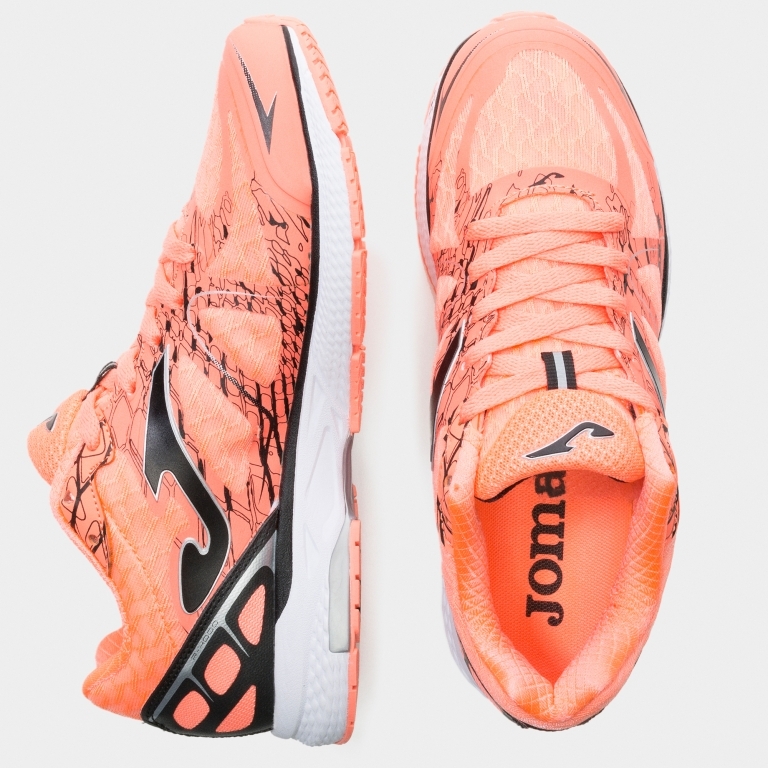 The JOMA SPORTECH injected rubber system prevents the need for seams and other rigid materials, creating a more comfortable structure with a better capacity for flexion that fits better to the foot. VTS ventilation system which allows air to easily flow in and out of the trainer, maintaining a constant temperature around the foot. Insole made of pre-moulded EVA which adapts to the shape of the foot. The inner sole is made of natural EVA with GLOVE SYSTEM which joins the inner sole to the upper, providing added comfort and reducing weight. Both pieces are sewn flat without protruding seams, maintaining the rounded lines of the foot. 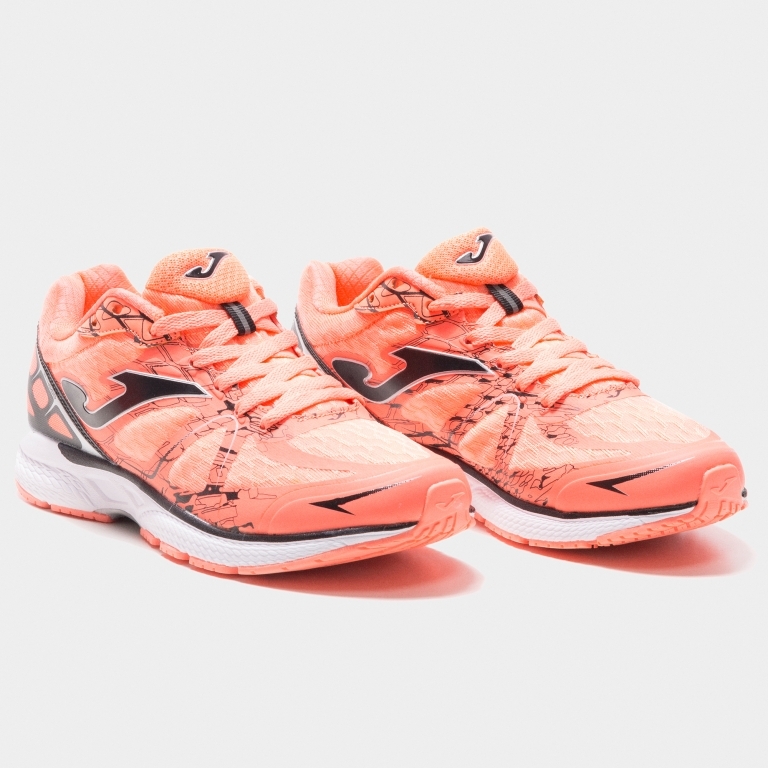 High-quality spongy phylon midsole which contributes cushioning to the trainers, and a PVC plate that runs from the centre of the shoe to the toe to increase momentum. 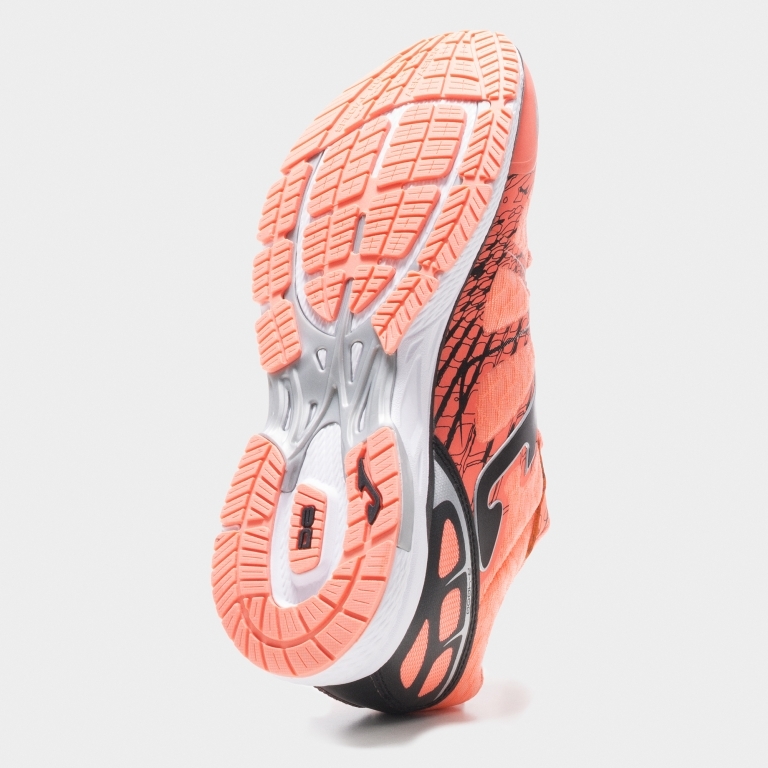 These trainers also incorporate the STABILIS system, which is a piece of TPU located in the narrowest part of the sole to avoid inadequate turns between the front and back of the foot, achieving greater stability and maintaining a strong step during lateral movements. Rubber outsole which incorporates a FLEXO system of flexible lines, located ergonomically in the sole, to offer optimal transition from heel to toe in each step.